‘The Cassina Perspective’ installation curated by art director Patricia Urquiola. Photography © Stefano de Monte. 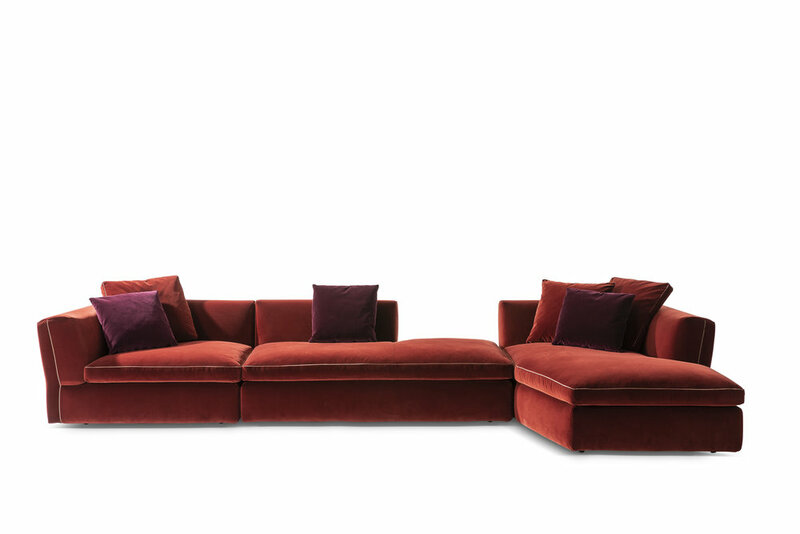 It is day three and all eyes are on Cassina. more space heads to the Sala delle Colonne on Via Durini. located at the back of the Cassina showroom where the Chandigarh Project in tribute to the architect, designer and town planner Pierre Jeanneret has been unveiled. 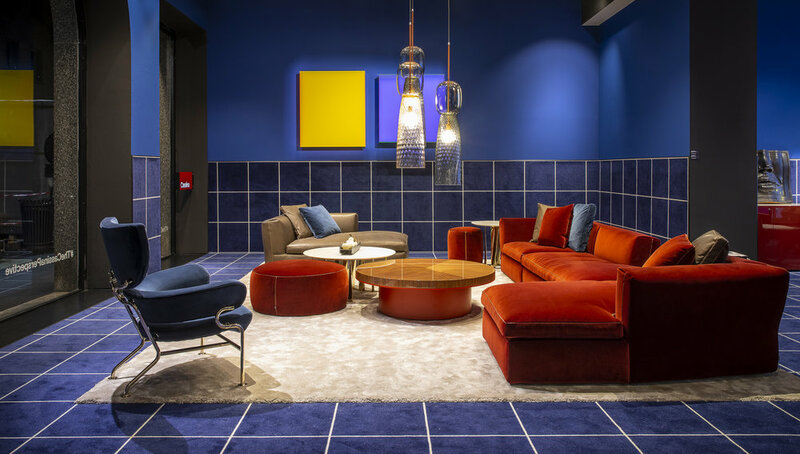 While next door, an installation by art director Patricia Urquiola The 'Cassina Perspective’ is an eye-popping panorama of colours, textures, and products, from modern icons to new innovations, that reveals the depth of the Cassina collection and the breadth of their research. Pierre Jeanneret’s furniture has been an important fixture of the Cassina collection for many years, part of the ranges he developed in collaboration with his cousin Le Corbusier and designer Charlotte Perriand. For Cassina to explore Jeanneret’s designs further says everything about the passion the Cassina Research and Development Centre puts into every project. Their interest in the heritage of the furniture Jeanneret designed for the Capitol Complex in Chandigarh arose from the Cassina’s need to complete its knowledge of the work of the three greats of Modernism: Le Corbusier, Pierre Jeanneret and Charlotte Perriand. The Capitol Office Chair designed by Pierre Jeanneret for the Chandigarh Project. Photo © Cassina. Even though Le Corbusier is the architect most known for designing the city of Chandigarh, it was at the request of Le Corbusier, that Pierre Jeanneret moved to India in 1950 to work on the new capital and lead the project until 1966. The design of the residential units became the sole responsibility of Jeanneret and his team. It was here that the architect explored his furniture design in collaboration with local craftsmen and had a fundamental role in the development of the furniture for many of the city’s government buildings. Working in India with its traditions and simple materials influenced Jeanneret’s design approach, embedding his modern European ideas with the spirit of India. With the support of the Fondation Le Corbusier, Cassina was given access to the archives to analyse available material and drawings of the chairs and tables from the Chandigarh Capitol Complex. Inside the Sala delle Colonne the ambience from Chandigarh has been recreated to present four pieces by Pierre Jeanneret – a chair, an armchair, a chair with armrests, and a table. It is a project that carries on Cassina’s dedication to reinstating significant projects. Working in collaboration with the Fondation Le Corbusier, and last year the Frank Lloyd Wright Foundation, the company is demonstrating its dedication to research and provenance, and its ability to carefully translate that knowledge into contemporary products. 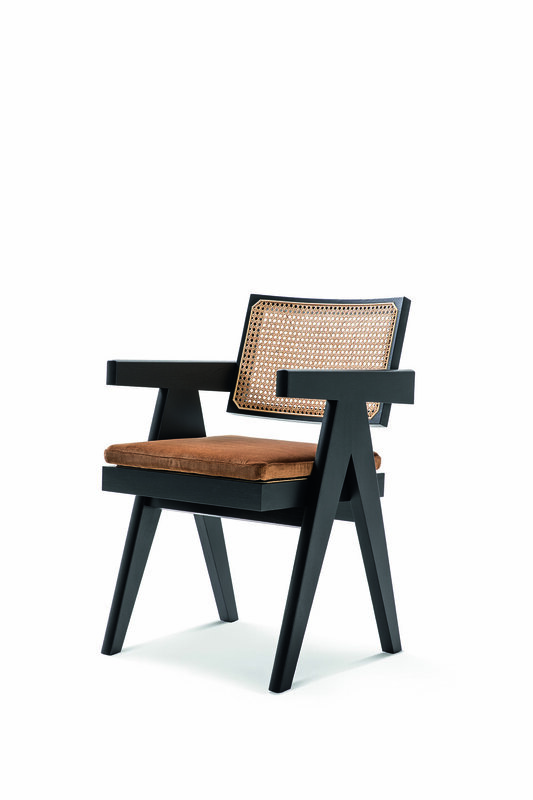 Capitol Office Chair designed by Pierre Jeanneret for the Chandigarh Project and now produced by Cassina. Photo © Cassina. This research extends to the Bauhaus school and its 100th anniversary this year. Cassina has further highlighted the importance of Modernism within the collection by introducing the Elling Buffet sideboard designed by Gerrit T. Rietveld in 1923. Described by Patricia Urquiola as “the jewel” in the collection, the sideboard will now be produced by Cassina at its historical carpentry workshop in Meda in collaboration with the Rietveld heirs. The Elling Buffet sideboard designed by Gerrit T. Rietveld in 1923 and described by Patricia Urquiola as “the jewel” in the Cassina collection, Photo © Cassina. 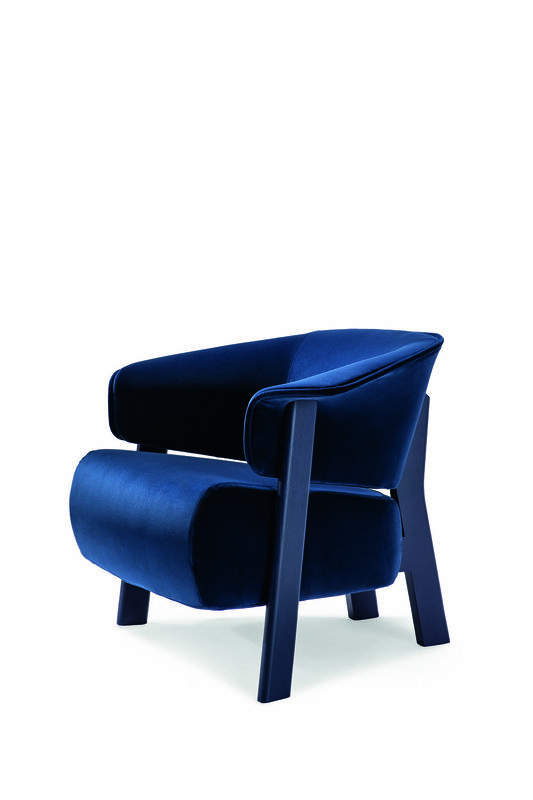 The Back-Wing armchair designed by Patricia Urquiola for Cassina. Photo © Cassina. Boboli tables by Rodolfo Dordoni for Cassina. Photo © Cassina. Next door at 'The Cassina Perspective' installation curated by art director Patricia Urquiola, windows have been transformed with a blue grid that envelops part of the showroom, both on the floor and partially on the walls, highlighting new collections by Rodolfo Dordoni and Ronan & Erwan Bouroullec. Like a theatrical setting, a large screen closes the first part of the window area with a drawing by Le Corbusier created for Chandigarh. Here four videos come to life to tell the story of the embracing Back-Wing armchair by Patricia Urquiola, the CAB family by Mario Bellini, the Cotone sofas by the Bouroullec brothers and the elegant Dress-Up! sofa by Rodolfo Dordoni. Dress Up! by Rodolfo Dordooni for Cassina. The CAB chair designed by Mario Bellini in 1977 is back in new sizes, XL and Baby. Photo © Cassina. 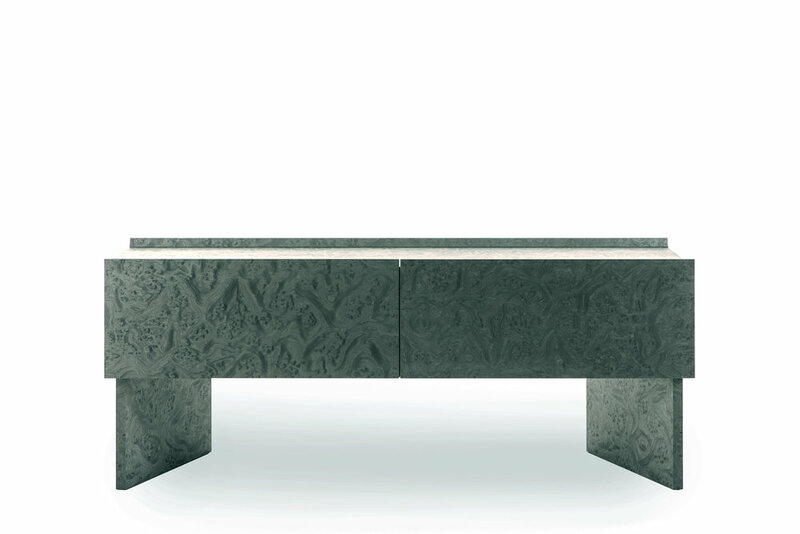 Hayama console designed by Patricia Urquiola for Cassina. Photo © Cassina. Inside he central area of the showroom a ‘diorama’ that responds to the sculptural staircase and dome above transforms the interior. Inspired by homes photographed for the new collection, Cassina icons enrich new works by the Bouroullecs, Urquiola and Dordoni. Complete living and dining areas are presented in the surrounding room,s with wooden boiserie and marble floors and a selection of artworks by Federica Sala/PS. Inside the dome, the classic CAB chair designed by Mario Bellini in 1977 is the subject of a graphic installation that highlights its evolution – XL and Baby are enhanced in new saddle leather. The atmosphere here is filled with history, materiality, colour and beautiful detailing, and a vision of the future. 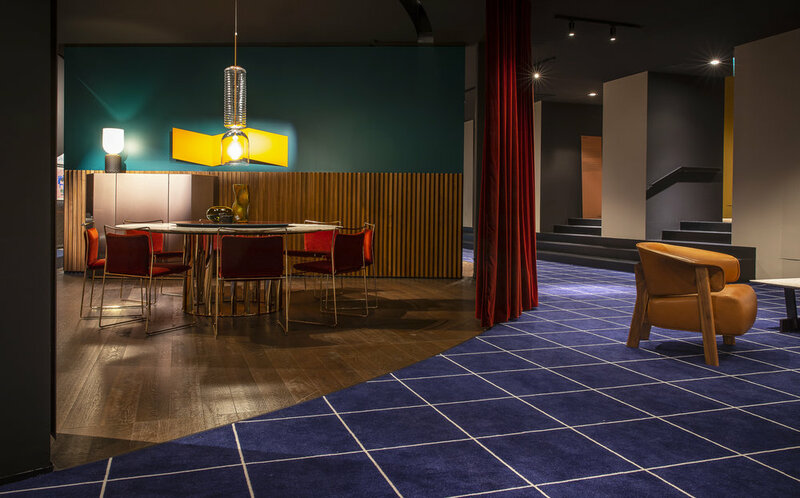 Like great cities where the enjoyment is in the architectural mix, Cassina and Patricia Urquiola have carefully curated the historical depth in balance with a clear focus on the delights of the new. 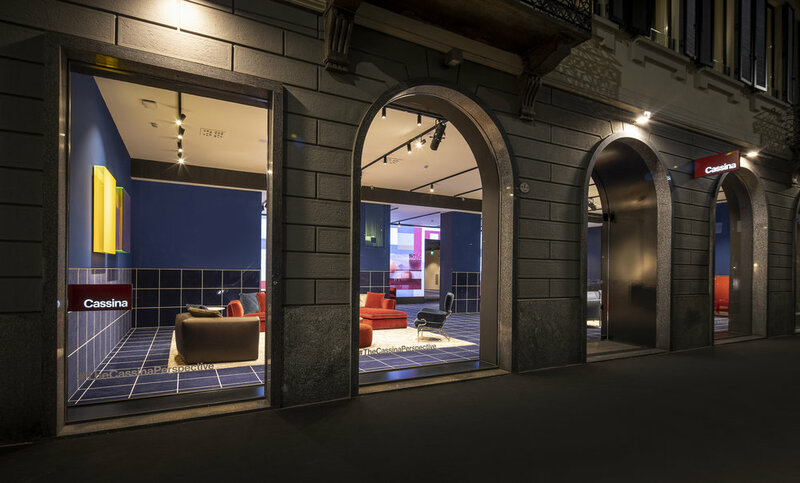 Cassina is available exclusively from Space – Australia – and Space – Asia.